The Erasmus Student Network, or ESN for short, is a European student organization which supports and develops the international exchange between students. 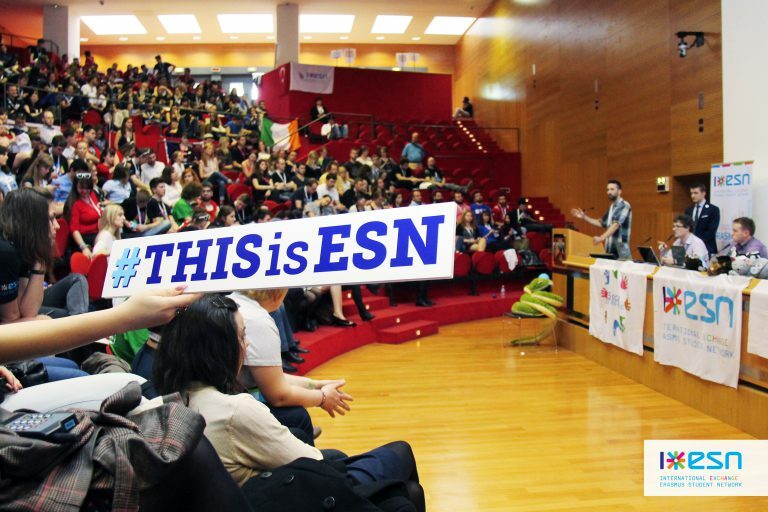 ESN is present at over 500 institutions of higher education in 38 countries all over Europe. All of its 15,000 members are volunteers, offering their services to around 200,000 international students for free! On a local level, ESN sections help international students to find their way at uni and to settle in to their life abroad. To do so, ESN sections organize different cultural activities, such as city trips, language tandems, or parties. This does not only help to integrate integrate international students, but also local students can get some international experience at their home universities and are thereby encouraged to participate in an exchange program themselves. In Germany, there are currently 31 active sections of ESN. The national umbrella organization ESN Germany, or officially: ESN Deutschland e.V., coordinates the cooperation of these sections, holds regular meetings to allow people to share their experiences, and tries to help with problems of all sorts. The international headquarters of ESN are located in Brussels, Belgium. From there, ESN International represents and defends the interests and rights of international students, for example vis-à-vis the European Union. There are regular national and international meetings for exchanging experiences and to develop the network. Where can I learn more about ESN? A good start is probably the website of ESN International. It gives you detailed information about the purpose and history of ESN, and all its current programs, e.g. Movin’ Europe, Eduk8 or Responsible Party. For more specific information about ESN in Germany, check out the website of Erasmus Student Network Deutschland e.V., or more commonly: ESN Germany, which is the consolidation of all German local Erasmus student initiatives.